We are Finalists at the Venus Awards! I am delighted to announce that I am a Musical Talent FINALIST in the Hampshire Venus Awards! Known as the Working Women’s Oscars, the Venus Awards were formed to recognise, reward and celebrate local working women in business. 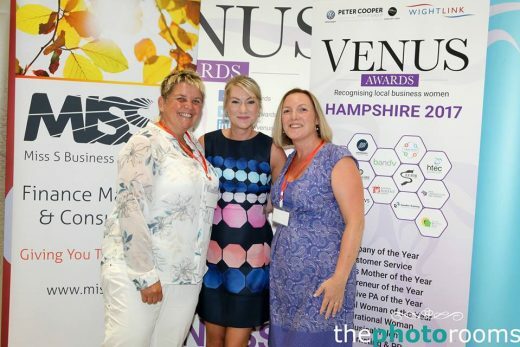 This is the first year they have run the musical talent category and I am really proud to be one of the first three Hampshire Venus Awards finalists for this category! I would like to sincerely thank Tracy and Fiona of Miss S Business Support Ltd , who are the category sponsors and judges, for spending the time to get to know me and to know more about what I do and who I am! Miss S Business Support offers Business Management, Business Planning & Analysis and Business Support, Tracy and Fiona are passionate about reducing the mystery and fear that so often exists around finances and numbers in general. I am so passionate about music and it has played a huge part in my life from a very young age. 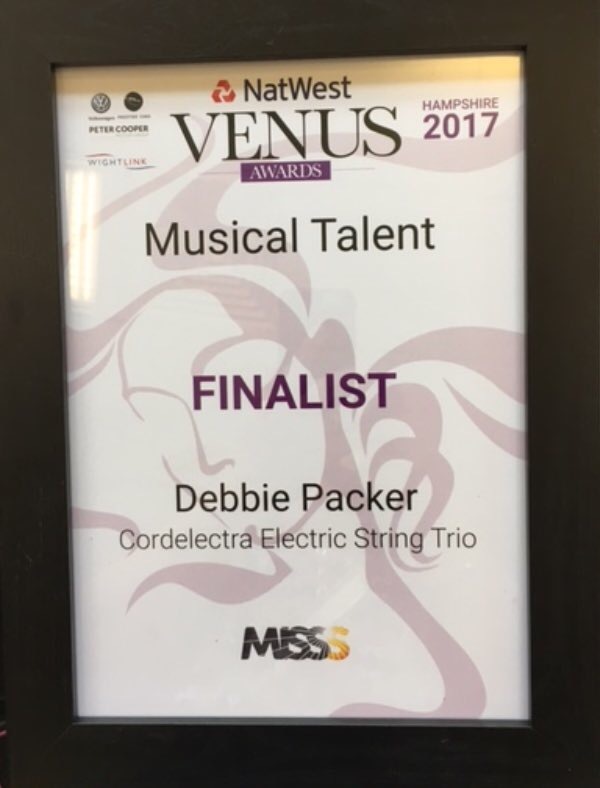 Although being a finalist is a great recognition for my musical talent – I am very much aware that others are very much involved in my musical journey, my parents David and Penny who put hours into supporting me from a young age to learn the cello, to pay for lessons, cart me around to various rehearsals and concerts, my sisters Rachel and Rebecca (who are violinists), my previous cello teachers and orchestral conductors, my husband Allan and last but not least Emma and Trish of Cordelectra! I, together with Emma and Trish of Cordelectra love to inspire others to take up musical instruments and practice – because being good at music can open up so many avenues both socially and professionally. It has certainly been a vital part in my life, more than some will ever know. The Finals are being held at The Spark at Southampton Solent University on 11th November 2017.